… On the strength of these successes, he became the go-to man for running new colleges and foundations, the archetype Victorian administrator, upright, incorruptible and irredeemably conservative. 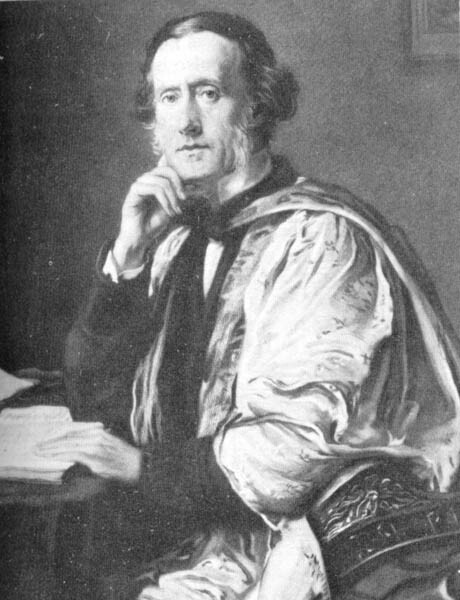 He thought Verdi ‘immeasurably inferior’ to Rossini and struck Schumann off the Royal Academy syllabus. His own gift, such as it was, was crushed by his onerous public duties…. I just bought a volume of W.Sterndale Bennett piano and chamber music. plan to play and performed this beautiful music. Found in used music store. Listened to his piano concerti. Very enjoyable. Reading comments on different sites, I was surprised to read so many comparaisons with Mendelssohn and Schumann, but no mention of Chopin concerti, especially in orchestra introductions, piano entrances and melodic gift. The reason that this music is so bland is not because of being ‘conservative’ (also Bach was ‘conservative’) but because of groping to the most obvious that lays in his path. Like Mendelssohn without the spirit, or a glass of champagne you find the day after the party with all the bubles gone. It is striking that when Germany produced Wagner, France Berlioz, Italy Verdi and so on the best we in the UK could come up with was Sterndale Bennett. I’ve often wondered why. It’s the obsession with tea: the respectable cult around it, withers away any creative stimulus. The land without music? The year Sterndale-Bennett died, another English composer turned 18. Since then, the English have held their own. In many ways you’d have to say they’ve got at least Germany well and truly covered. Coincidentally I downloaded just 5 mins ago one of his symphonies (part of a Lyrita “British Symphonies” compilation). Is Sterndale a middle name or part of a double barrelled surname? I need to know for filing purposes! Try composing some “bland” music, you’ll be surprised to find how difficult it is to compose the “obvious.” No, it is the eccentric and avant-garde that is easy. Yes. But the really good music sets up patterns from which it is then deviating, and returning to later-on, in subtle ways. Something between the expected and the unexpected. Writing the entirely expected and the entirely unexpected is both easy, but finding the right mixture is difficult. Not a nice way to pay back Schumann for dedicating the “Symphonic Etudes” to him.